Situated in the historical district, this hotel is within a 15-minute walk of Old Mill District and Les Schwab Amphitheater. Deschutes Brewery and Des Chutes Historical Museum are also within 1 mi (2 km). Located in the heart of Bend, this resort is within 3 mi (5 km) of Tower Theater, Drake Park, and Deschutes Brewery. Old Mill District and Les Schwab Amphitheater are also within 3 mi (5 km). Situated in Bend, this hotel is within a 15-minute walk of Old Mill District and Les Schwab Amphitheater. Des Chutes Historical Museum and Deschutes Brewery are also within 15 minutes. Situated in Bend, this hotel is within a 15-minute walk of Old Mill District and Les Schwab Amphitheater. Deschutes Brewery and Des Chutes Historical Museum are also within 1 mi (2 km). Located in the heart of Bend, this hotel is within a 10-minute walk of Old Mill District and Les Schwab Amphitheater. Deschutes Brewery and Tower Theater are also within 2 mi (3 km). 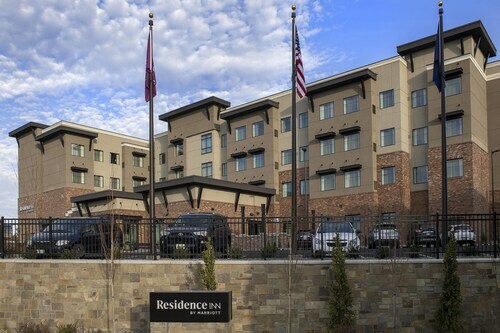 Located in the heart of Bend, this hotel is within 2 mi (3 km) of Downtown Bend Business Association, Old Mill District, and Les Schwab Amphitheater. Tower Theater and Pilot Butte State Park are also within 1 mi (2 km). Situated in Bend, this hotel is within 1 mi (2 km) of Tower Theater, Old Mill District, and Les Schwab Amphitheater. Downtown Bend Business Association and Des Chutes Historical Museum are also within 10 minutes. Located in the heart of Bend, this hotel is within 1 mi (2 km) of Deschutes Brewery, Les Schwab Amphitheater, and Old Mill District. Tower Theater and Tumalo Falls are also within 16 mi (25 km). Situated in Bend, this hotel is within a 10-minute walk of Old Mill District and Les Schwab Amphitheater. Deschutes Brewery and Des Chutes Historical Museum are also within 1 mi (2 km). 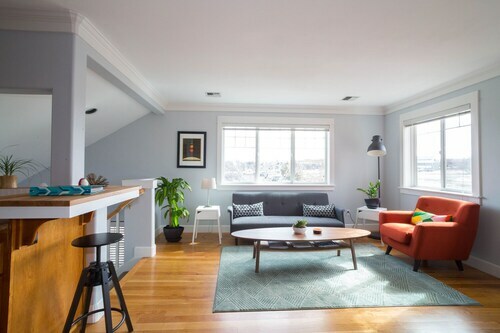 This family-friendly Bend property is within a 10-minute walk of Deschutes Brewery and Les Schwab Amphitheater. Old Mill District is 0.8 mi (1.3 km) away. 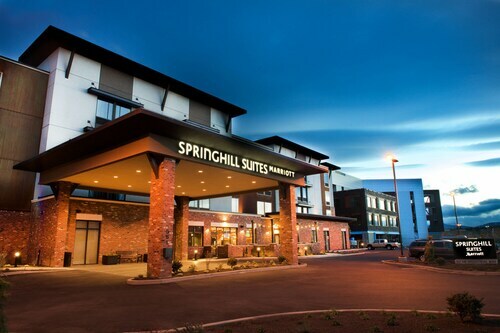 Situated in Bend, this hotel is within 1 mi (2 km) of Deschutes Brewery, Les Schwab Amphitheater, and Old Mill District. Des Chutes Historical Museum and Drake Park are also within 2 mi (3 km). 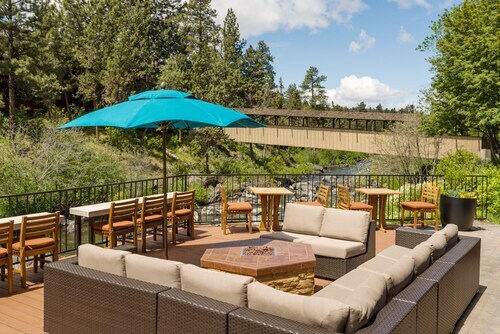 Situated in Bend, this hotel is within 1 mi (2 km) of Deschutes Brewery and Les Schwab Amphitheater. Old Mill District is 1.4 mi (2.3 km) away. Deschutes Brewery is that adult-friendly retreat that deserves to be number one on the travel itinerary. Bend, 100 miles (161 kilometers) from the capital of the state, Salem, is where you will find it. Accommodation is an important part of any memorable vacation. 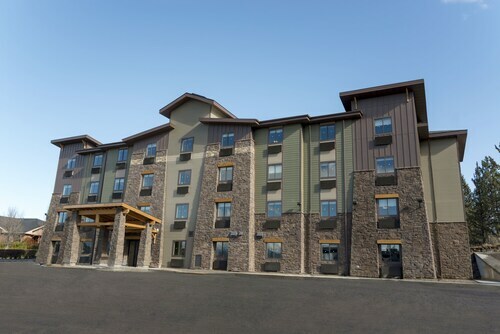 With 26 hotels within an easy drive of Deschutes Brewery, it won't take you long to locate the perfect place. 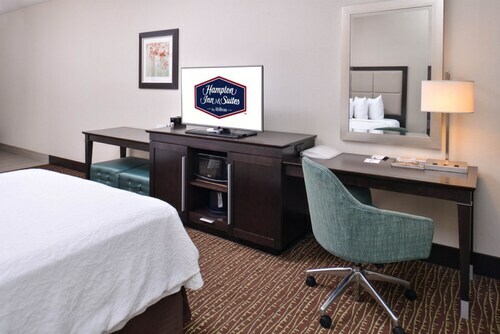 The Oxford Hotel Bend, 0.9 miles (1.4 kilometers) away, is one place to start your search. You might also like to look into the Mount Bachelor Village Resort, just 1 mile (2 kilometers) away, or the Hilton Garden Inn Bend, only 0.5 miles (0.8 kilometers) away. Give your wallet some downtime and have a look at the choice of bargain hotels close by. A pair of examples are the TownePlace Suites Bend Near Mt. Bachelor and the Super 8 Bend, which are situated 0.5 miles (0.8 kilometers) and 1 mile (2 kilometers) away, respectively. You can keep the energy levels topped up with some tasty food, a cool drink or a hit of coffee at Thump Coffee (1001 Southwest Emkay Drive #110, Bend). You can also go to Bangers & Brews Sausage House (1288 Southwest Simpson Avenue a, Bend), an enduring favorite with both visitors and locals. If you're after a fun night out, find out what's on the schedule at Les Schwab Amphitheater. Whether you’re looking to splurge, or simply buy what you need, you'll enjoy some fantastic deals at Old Mill District. Take a look at the informative exhibits that are on display at Des Chutes Historical Museum. Lights, camera, action! You'll experience a tingle of anticipation as theater goes pitch black at Tower Theater. Toss the ball around with the kids and enjoy the green surroundings at Drake Park. You can even bring a picnic and make an afternoon of it. How Much is a Hotel Room in Deschutes Brewery? Hotels in Deschutes Brewery start at $75 per night. Prices and availability subject to change. Additional terms may apply. Upscale Townhouse w/ Amazing Location - Walk to Breweries & the Amphitheater! Spring Skiing at Mt Bachelor is Great! Stay Here Today!!!! Albany Bungalow Walk To The River, 10 Barrel And Village Baker!